It was a super long weekend spent in a not-so-long- hike (if you can even call it one) at Tayak. My mountaineering group, Guys4Mountains Inc. haven’t climbed much the past two years but we haven’t skipped celebrating our August anniversary as a group. Our camaraderie is as steadfast as the mountains we climb, landslides withstanding. 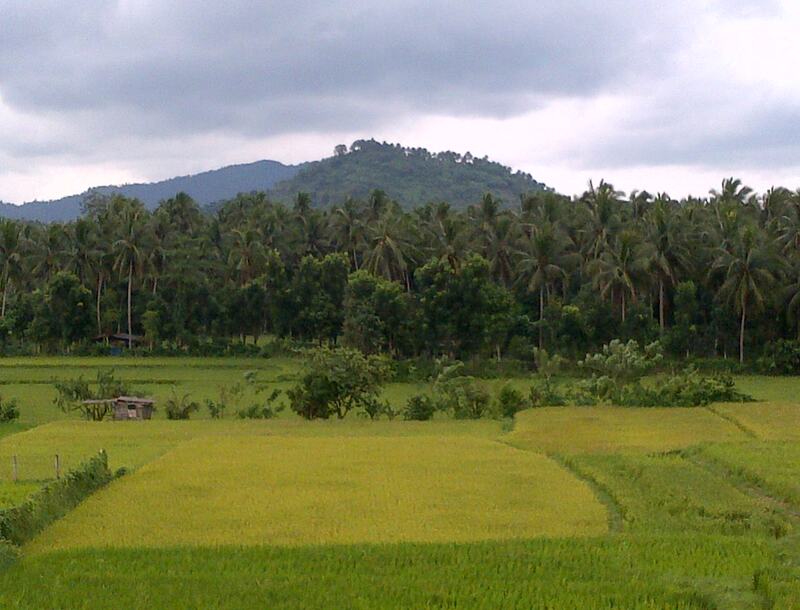 We’ve been to Tayak before and the weather was much worse. We arrived at the jump-off point amidst really heavy rain. We decided to just do a day hike and check-in at the Tayak Resort. Dorm beds were available for around Php 200+ person. Cheap and comfortable. We hiked to the top, took our pics, and spent the rest of the day and the next relaxing at the resort. Last weekend, the Tayak that greeted us was totally different. We checked-in at the resort, got our dorm beds, relaxed a bit, then made our way to the hill at around 3 in the afternoon. The road had been fully sealed except for a few short sections. It seemed to go on forever. I remember walking the same road a couple of years ago but it seemed much longer and more tedious. Pounding on cement is infinitely more tiring to the limbs than treading on earth. At one point, I joked that perhaps they had leveled the hill and had built at subdivision. That at the next turn, there would be people handing-out fliers to us. Soon familiar surroundings such as the chapel greeted us. A large tarpaulin sign read “Tayak Nature and Adventure Camp.” We knew something different was going to greet us. A few hundred meters back, we came onto a “Welcome to Landing Point” sign that showed different activities such as para-gliding, wall climbing, and even a cable car ride. We took the small path on the right and came to the bottom of the hill. It had had a total make-over. 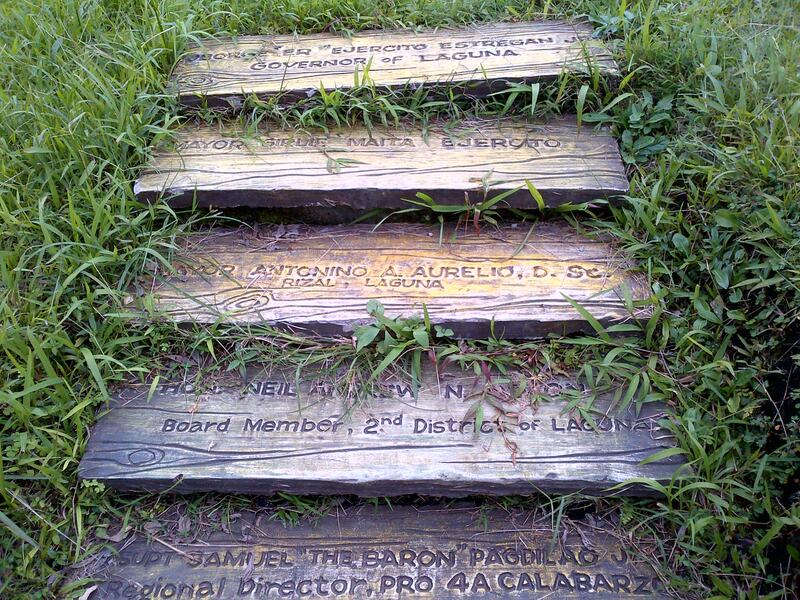 Where once there was a small trail, there were carved footsteps on the earth and red and yellow banderitas stamped with “San Miguel” and its logo lined the paths. As we made our way up, stone paths inscribed with sponsors name led all the way to the top. Want your own stepping stone? Half-way up, a sign pointed to a small path to the campsite. We headed all the way to the top where a huge white cross greeted us. 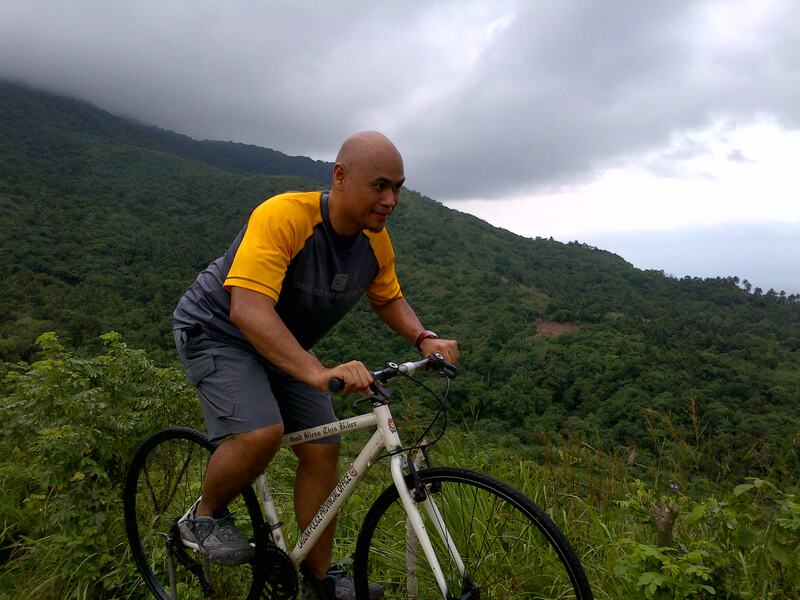 On the left side was a mountain bike that had been mounted on a small cemented platform marking the hill as a “Biker Haven.” Tayak had become a tourist destination. It’s a stationary mountain bike! The view was still magnificent though with Mt. 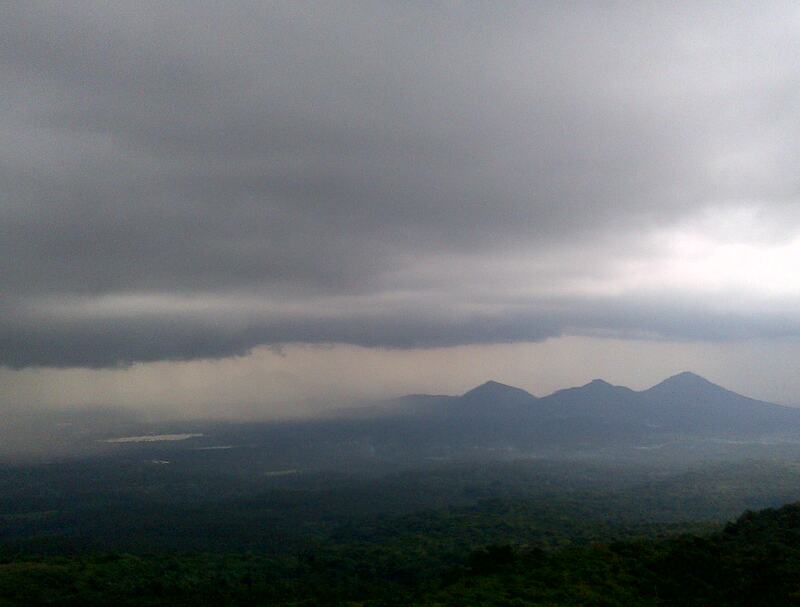 Cristobal looming large on one side and the plains of San Pablo and the rest of Laguna sprawled below. Low-lying clouds wrapping the surrounding hills and mountains made it all very picture-pretty. 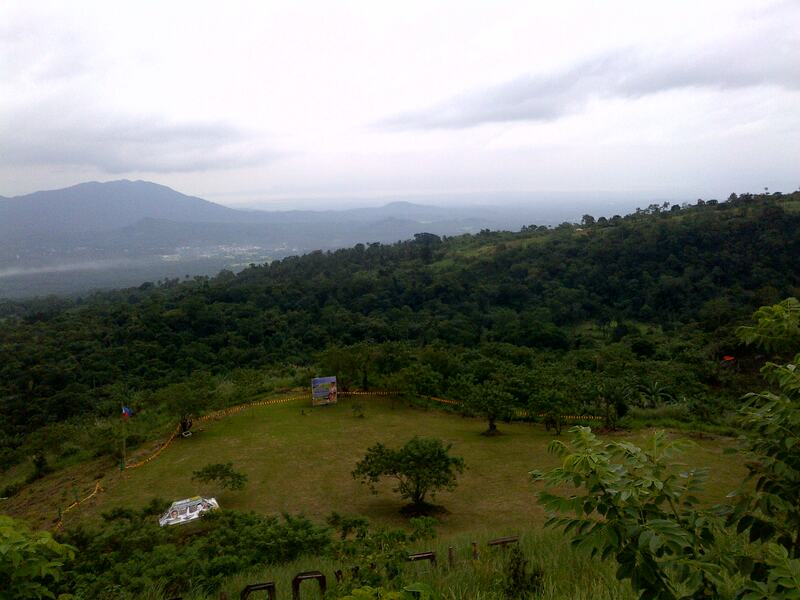 The campsite as seen from the hill top. We took our “we were here” pictures then made our way down the hill to the long road back to the resort. Dusk had fallen and no sooner had we reached the start of the cemented road that the rain fell in torrents. It was actually quite cool walking under the pelting rain. Fortunately, there wasn’t any lightning or I would have freaked-out. Again, the road seemed to go on forever and ever. Night was falling and I had no clue had near or how far we were. We had become separated with me ahead of everyone else and Edwin and his partner a few meters behind me. The rain had petered-out into a light shower by then. A jeep came rumbling up the hill inquiring to the kids and adults that we had met at the hill earlier. It had come to pick them up. That meant hope that we could hitch a ride when they returned. And they did! It was just in time when the jeep came down the road and plucked us off the long winding road before night completely fell. As we rode on the back and watched the road go by we realized that it would have taken at least another half hour of walking to reach the resort. 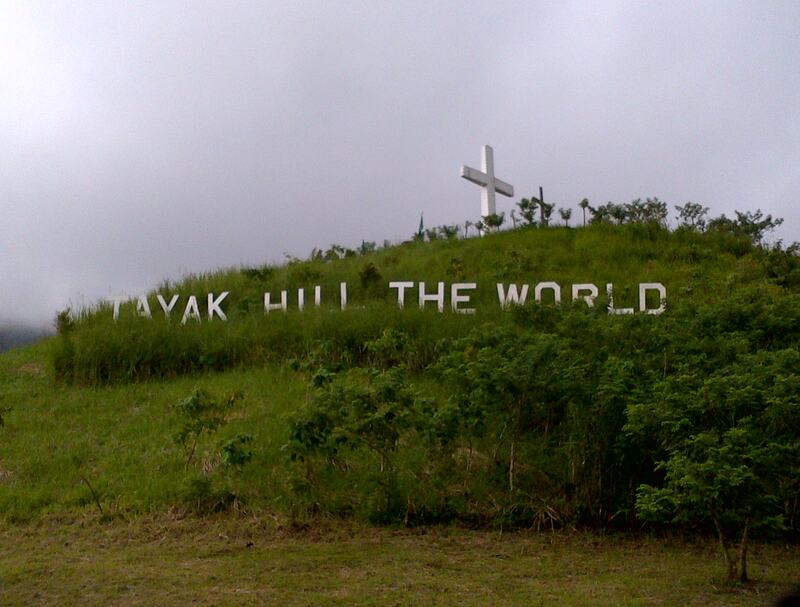 Tayak Hill has been re-imagined as a tourist destination. It really is a pretty-enough place that doesn’t take much effort to get to. You can even take a jeep or a trike all the way to the chapel at the base of the hill. I just hope that they don’t overdo it lest it turns into a carnival of cheap kiosks and stalls.